Happy fall y'all! It makes me so happy that the weather is getting cooler and the leaves are starting to change color! I love fall! 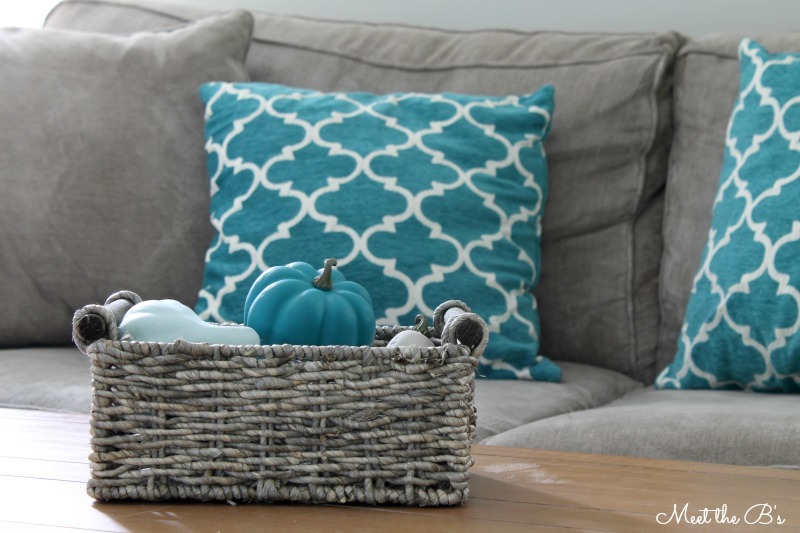 I especially love fall home decor! This year, I have been trying not to focus too much on seasonal decor because I feel like I should devote the time to finishing our normal every day decor before I splurge on things that are displayed only temporarily. I've been using seasonal decor I already own or that I can make quickly and cheaply. Today, I'm sharing one of those super easy, affordable, quick decorations! 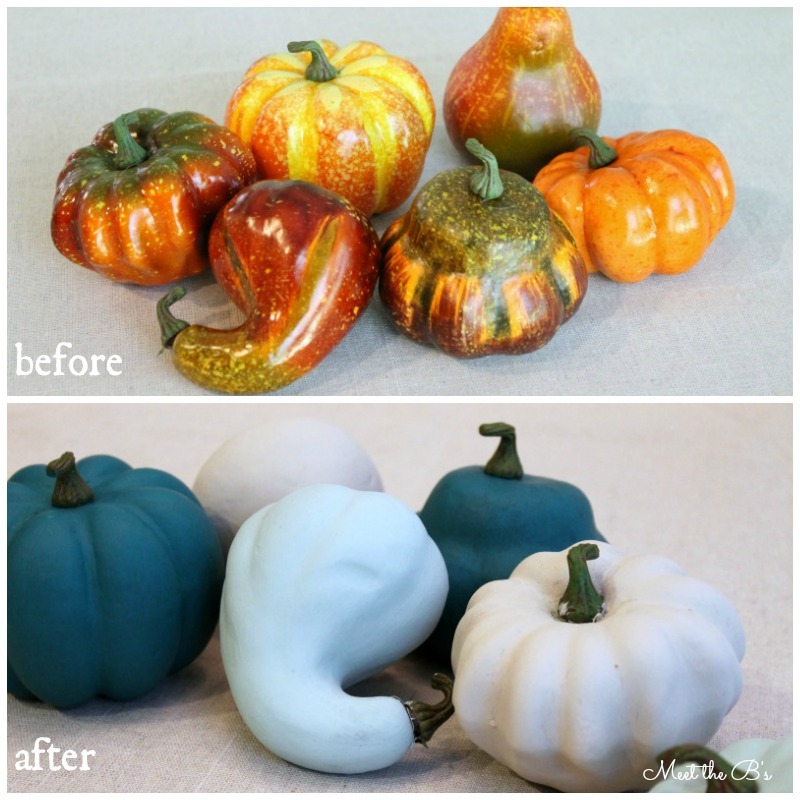 Painted faux pumpkins! I bought some fake pumpkins and gourds at Michaels and added some color to match our living room. Seriously, it couldn't get any easier. I don't even have a tutorial for you because all I did was paint them. That's it. No secrets, no tricks, just paint. Our home is full of neutral colors and cooler tones. Don't get me wrong, I love warm colors! They just don't really go with my interior decor. So, I wanted to tone these bright orange pumpkins down a bit and help them blend in with the living room. I chose paint colors that match some of those neutral tones and added a little pop of color by matching our throw pillows! I think its the perfect touch of fall for our living room! 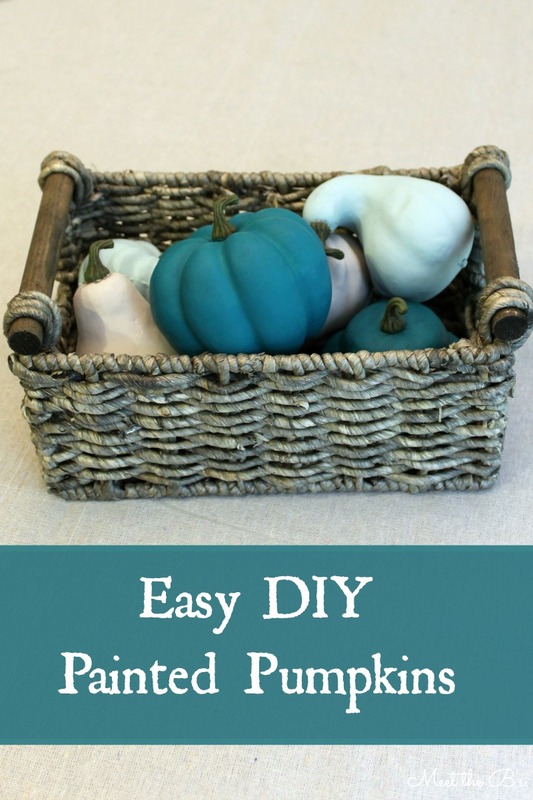 Have you done any super easy fall projects this year? Be sure to come back on October 8th for an exciting blog hop with tons of super cute fall projects! SUPER cute Nicole!!! LOVE the colours!!! Oh wow, what a huge difference from the before pictures!! So much better, and I love the colors you chose!! Wow! 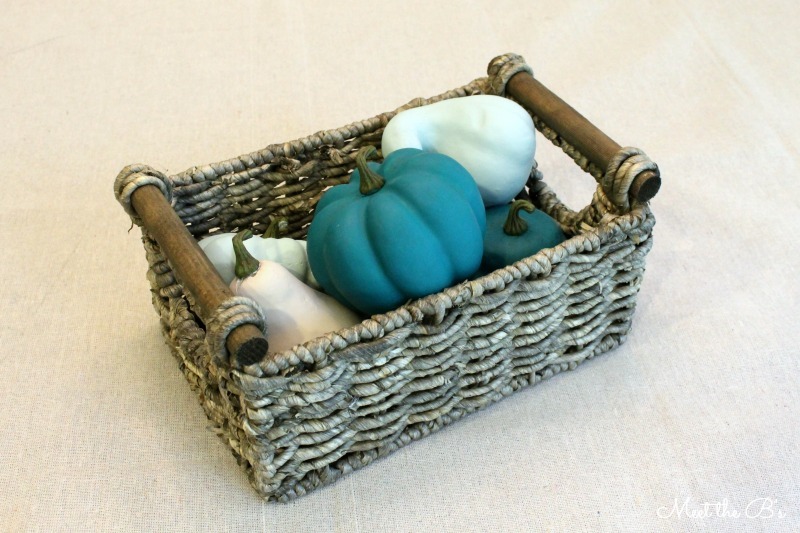 What a great way to personalize store bought pumpkins and gourds! Pinning and sharing on my FB page! So cute, Nicole! Love the Blue! Much better than the originals! The colors are a cool twist (no pun intended) on conventional fall colors. I love it! These are so cute. 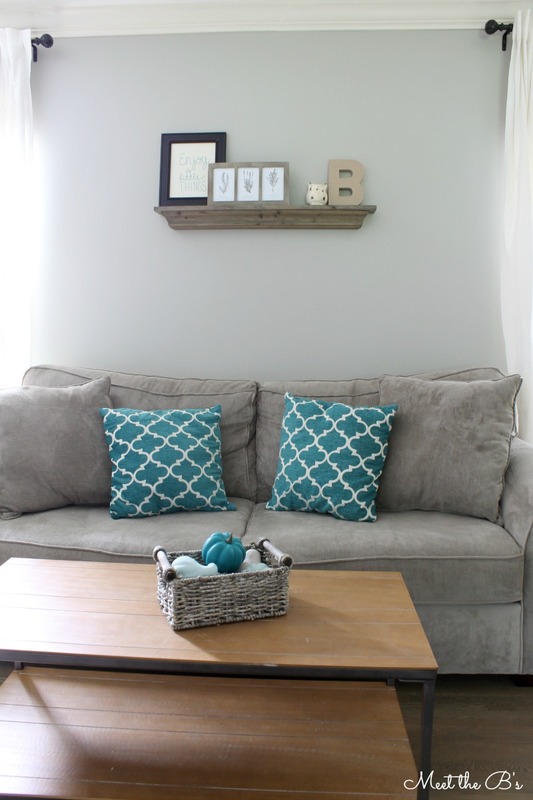 I love the way they look with your throw pillows! Thanks for sharing at On Display Thursday. Thanks so much! It really makes our throw pillows pop!